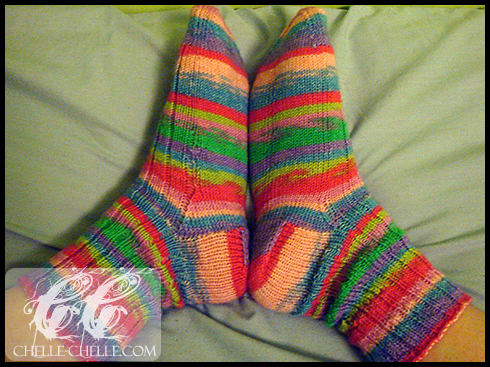 Chelle-Chelle.com – Crochet, Knit, Craft » First pair of socks! I learned from knitting socks that I really dislike ladders. I got them wherever I changed needles, which I did not like. 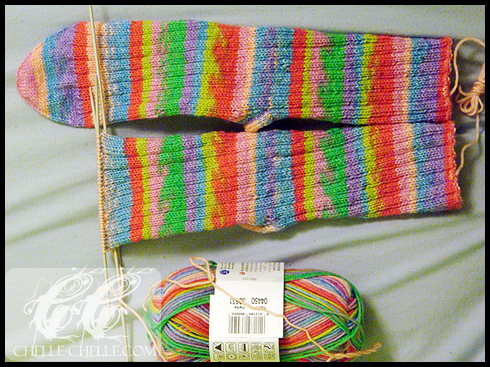 I resolved to get other needles (circulars) for magic looping socks in the future (more on that in a future post). I was really happy that they were matching up! 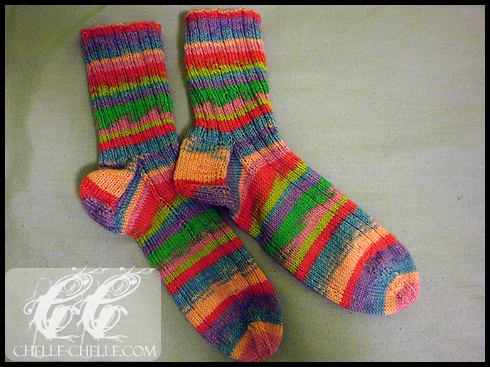 It was one of the things that I really wanted to be sure that I did – get the darn socks matching. They were close enough for me (I can point out where they’re not, but I knit them and have that privilege of pointing them out to myself). The socks are super simple. 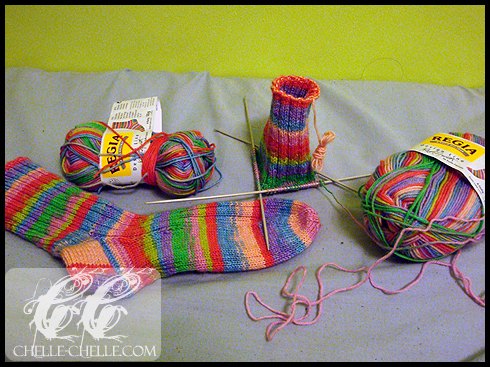 3k1p ribbing for the foot and leg, part of the ribbing continues down the foot. 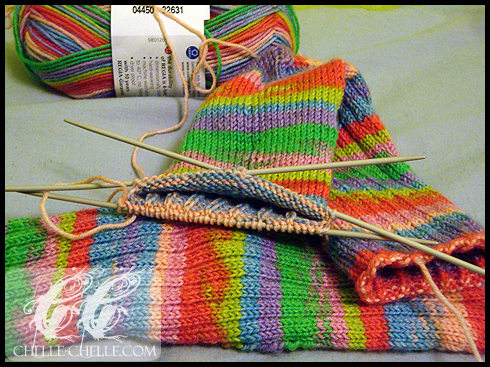 The heel flap and gusset were the first time I had done a heel. I will admit that when I was reading the instructions, I could not visualize how the heel could possibly be formed. But I just took the instructions as being true and then I made a heel! How awesome is that? 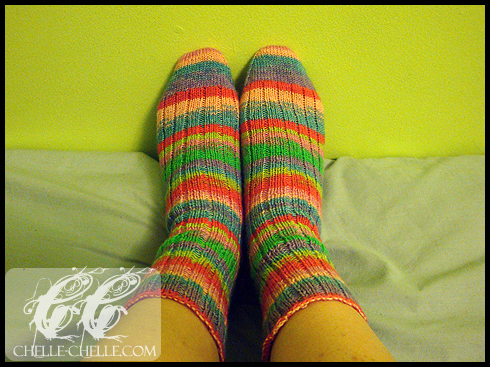 Before washing them for the first time, I have a completed pair of socks! So, socks. They ended up being probably about 3-4 rows too short for my feet. I wear size 7 US shoes. They fit my mom perfectly though, so I gave them to her (she loves them, and has 6½ feet).